On April 24, 2019 from 6:00 pm – 7:30 pm Barbara Wilks, Founding Principal of W Architecture and Landscape Architecture will join Daniel Campo, PhD, Program Director and Associate Professor at Morgan State University, to discuss “design at the harbor and city edge in both planned and unplanned contexts”. 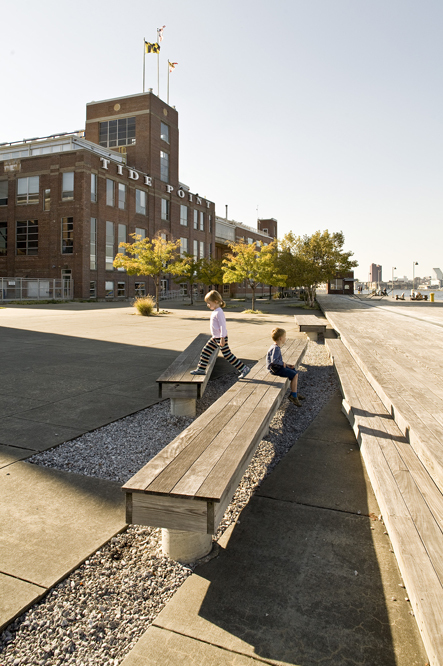 Barbara will discuss her firm’s waterfront work in various locations, including Baltimore, which addresses places where city and nature come together and forms new relationships, and how well-designed places can result in more sustainable relationships between ourselves, our communities, and the earth. Lectures will be held at Falvey Hall – MICA Brown Center, 1301 West Mount Royal Avenue Baltimore, MD. Each is free and will go from 6:00 – 7:30 pm.